Moving house is known to be one of the most stressful events in your life. At White Van Gentlemen, we pride ourselves on making that stressful day a complete breeze. With our complete Barnes removals service, we’ll carefully pack, courteously deliver and safely unpack all of your valued possessions so you don’t even have to lift a finger. We like to think we do things a little differently to most, and that means really caring about you and your home. We’re all about going that extra mile to make sure you have the most trouble-free moving day you’ve ever had. We work to your time schedule, and are always able to accommodate those special requests you might need on moving day. Whether it’s a family home or a one-bedroom apartment, we’ll make your Barnes removals a breeze. Call us now for a friendly chat with one of our trained professionals and make sure your next Barnes removals are in the right hands. For a professional, personable service with a team of highly trained logistics personnel, you’ve come to the right place. Whether it’s deliveries, removals or storage, we offer the best bar none. 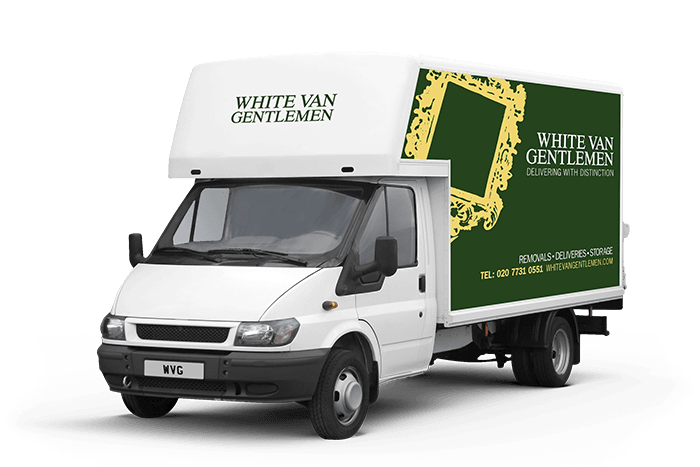 Hiring White Van Gentlemen means you’re getting a team of courteous, professional porters that really understand your needs. Call us today and find out what we can do for you.